Insight. Incised "© SANDRA SLONE 1979 2/9" on the base. 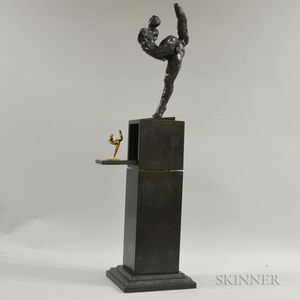 Bronze sculpture of a dancer on a tall copper pedestal, with a miniature polished bronze sculpture of the dancer on a fall-flap door within the pedestal. Condition: Scratches to top of copper pedestal, dust and dirt to the interstices of the bronze. Copper pedestal 22 inches high. Miniature dancer 4 inches high. 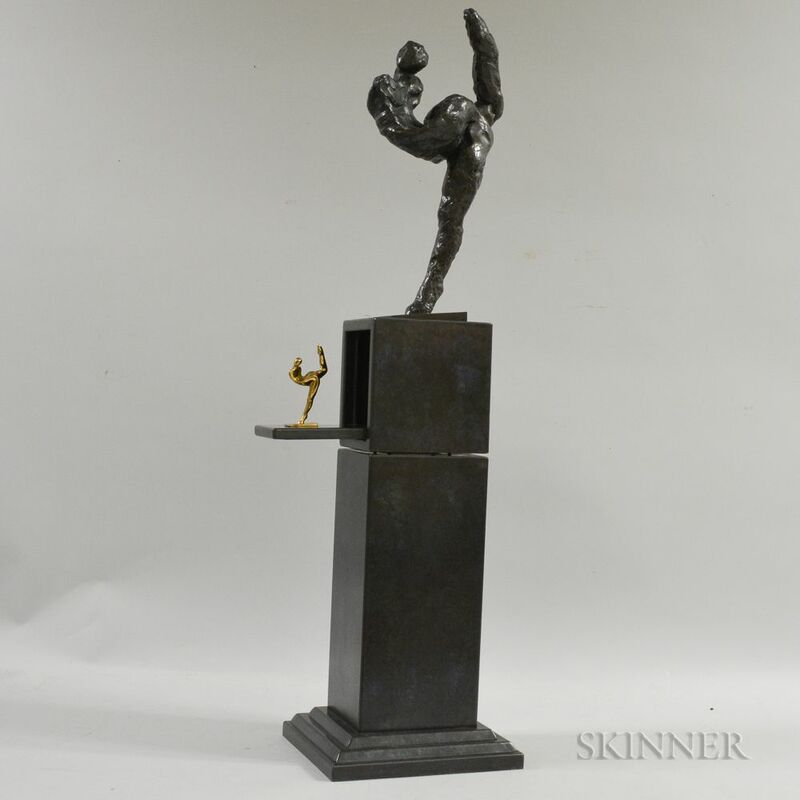 Bronze dancer 16 inches high.